The IBA Board, as the accountable authority, presents the 2017–18 Annual Performance Statements, as required under paragraph 39(1)(a) of the Public Governance, Performance and Accountability Act 2013 (PGPA Act). In the Board’s opinion, these Annual Performance Statements are based on properly maintained records, accurately reflect the performance of IBA, and comply with subsection 39(2) of the PGPA Act. IBA’s budget is managed through the annual Portfolio Budget Statements of the Prime Minister and Cabinet portfolio. Our outcomes and outputs, and corresponding performance criteria, are described in the Portfolio Budget Statements, Corporate Plan and through a Funding Agreement with the Department of the Prime Minister and Cabinet. to advance the commercial and economic interests of Aboriginal persons and Torres Strait Islanders by accumulating and using a substantial capital asset for the benefit of Aboriginal and Torres Strait Islander people. Outcome 1: Improved wealth acquisition to support the economic independence of Aboriginal and Torres Strait Islander people through commercial enterprise, asset acquisition and access to concessional business and home finance. Housing Solutions, Business Solutions, and Investment and Asset Management. 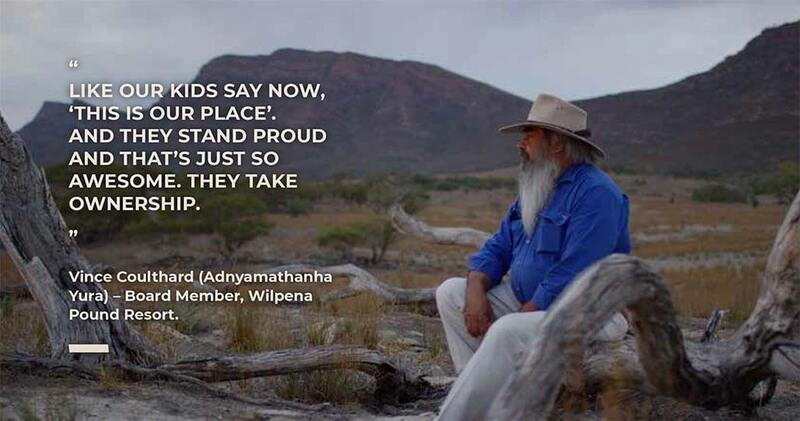 IBA is invested in the economic independence of Aboriginal and Torres Strait Islander people and communities. While IBA is only one part of a bigger picture in the Indigenous affairs landscape, our role is vital in supporting our customers to own a home, start or grow a business, or make impactful investments. During 2017–18, IBA either met or exceeded all but one of its targets as described in this report. In responding to significant levels of demand, IBA supported 913 Aboriginal and Torres Strait Islander families to buy a home which is more than ever before. We did this by providing home loans at concessional interest rates which have low deposit requirements and flexible repayment terms. ownership. In this way, IBA is contributing to close the gap between Indigenous and non-Indigenous home ownership rates (home ownership is recognised as an important indicator of wealth and saving and is part of the ‘strategic areas for action’ in the existing Closing the Gap policy framework). Also in 2017-18 IBA successfully launched two new secure web applications, the online Expression of Interest and Housing Loan Application. These applications allow our customers to submit their application from their computer, device or smart phone including uploading supporting documents. This is a timely investment which has streamlined the process for customers who wish to apply for a home loan. We also conducted a comprehensive customer survey to gather a fuller appreciation of customer need and demand. The results from nearly 600 responses will assist in future product development and enhancements to customer service, including online customer capabilities, and applications. Table 01 shows IBA’s achievements against the targets set out for the Indigenous Home Ownership Program. The performance criteria measure the success of the program in providing home loans and related assistance to Aboriginal and Torres Strait Islander people, as appropriate to their circumstances and need, as well as measures to demonstrate the effective management of the loan portfolio. IBA significantly exceeded all of its home ownership performance measures for 2017–18. The total number of loans in the portfolio at 30 June 2018 was 5,037. This reflects a net increase of over 10% from 30 June 2017 and a significant net increase of 49% over the past decade (since 30 June 2008). The average purchase price for homes funded through the Indigenous Home Ownership Program was $361,200 in 2017–18, compared to $350,400 in 2016–17, and the average loan amount was $339,800 in 2017–18, compared to $309,000 in 2016–17, reflecting the housing markets in which we operate. Looking forward, IBA will continue with a program of planned reviews and continuous improvement projects aimed at ensuring the digital transformation of our application processes, enhancing our operating processes and refining our approach to identifying and supporting those customers who are ready and capable of transitioning their loan to a commercial bank. See Part 3 of the annual report for more information and analysis. CP = IBA Corporate Plan 2017–18, PBS = Prime Minister and Cabinet Portfolio Budget Statements 2017–18. Transition to mainstream banking arises where the customer refinances home finance with a commercial lender. Support provided by IBA to access mainstream lending includes loans, guarantees, deposit assistance and other finance products that enable the customer to access finance with a commercial lender. Through our Business Solutions division, IBA invests in the development and growth of Aboriginal and Torres Strait Islander businesses. We provide a range of services andproducts to assist Aboriginal and Torres Strait Islander people to commence, acquire or grow a viable business. From entrepreneurs who are just starting their journey to well-established businesses wanting to expand, we can help make aspirations become a reality. IBA is the only statutory authority and national provider offering end-to-end services throughout the business journey and the program provides a rich suite of products and services including tailored business support, capability building services, and a wide range of business finance solutions. IBA’s Business Solutions includes delivering the Business Development and Assistance Program via a Funding Agreement with the Commonwealth (Funding Agreement), but our full suite of services and products goes well beyond the requirements of the Funding Agreement. In 2017-18, IBA provided 363 instances of business finance valued at $51.5 million, a record in the history of the program. As outlined in Table 02, which addresses the performance criteria established in the Funding Agreement, during 2017–18, IBA exceeded our targets for business support with over 1000 instances of support provided. IBA continues to exceed performance targets that sit within the Funding Agreement and more broadly within the PBS, including an increase in the variety of relevant products offered and the number of services delivered. The performance criteria also reflect a focus on start-up businesses, which is a strong element of IBA’s service offering to our customers, with many products and services delivered and tailored to service this customer segment. 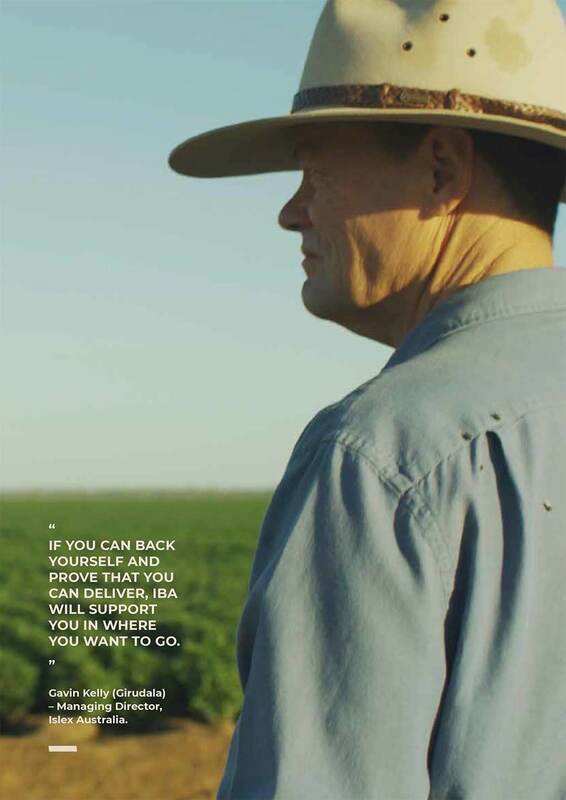 IBA’s customers are overwhelmingly start-up, early stage or emerging businesses (many of which are in regional and remote Australia), who may not be able to access finance from banks and other mainstream sources. IBA goes further than providing finance and supports these business and entrepreneurs with a range of support and capability development services. To directly support start-up businesses, one of IBA’s finance products is the “Start-up Finance Package”. This package, which is up to $100,000, is aimed at start-up businesses and consists of a low interest rate loan and a grant mix package. In 2017–18, 60 Start-up Finance Packages have been issued to a total value of $3,960,630 which includes $1,171,378 as a grant component. In addition to the Start-up Finance Package, IBA’s Business Solutions division also provided $7 million in finance to start-up businesses during 2017-18, facilitated the delivery of Accelerator Programs to meet demand from the start-up business sector, and tailored workshops to meet the needs of new businesses (including the Start-up Workshop and Digital Marketing Workshop). Strong interest in IBA’s business related workshops continued throughout 2017–18 with 72 workshops held with 525 participants attending (and with 65% of the workshops held in regional and remote Australia). The workshops provide a foundation for entry into business for new entrepreneurs as well as more sophisticated concepts for established customers, with a customer satisfaction of 95%. Overall in 2017–18 the Business Solutions program approved $51.5 million in business finance applications and provided strong support for supporting Aboriginal and Torres Strait Islander businesses achieve their aspirations through program products. Table 02 shows IBA’s achievements against targets set out for the Business Solutions division. The performance criteria measure the success of the program overall in providing business finance, assistance to start and to grow businesses, and related business support and employment opportunities to Aboriginal and Torres Strait Islander Australians. The criteria also measure the success of the program in helping to create and maintain sustainable businesses and have a specific focus on increasing the number of Aboriginal and Torres Strait Islander women into business. Throughout 2017–18 IBA has seen strong and increasing demand for its products and services. During March and April 2018, IBA received 63 applications for its Accelerator programs, with interviews and selection of the cohort taking place in April. The programs commenced in Alice Springs and Sydney in May 2018, in partnership with The Difference Incubator and Investible, respectively. Post-program support also continues to be delivered for Round 1 and Round 2 cohorts depending on the participants needs. Also, in 2017–18, and based on customer need and feedback, IBA and the Department of the Prime Minister and Cabinet formed a Trust to enable IBA to provide performance bonds and to facilitate the provision of bank guarantees to eligible Aboriginal and Torres Strait Islander suppliers to enable those suppliers to win and fulfil major construction and engineering contracts. IBA has been successful in working to initiate 11 strategic partnerships throughout 2017–18, which has enabled Aboriginal and Torres Strait Islander entrepreneurs to receive support in different locations and sectors. IBA’s customers in the Business Solutions program are diverse in their need and location, with over 45% of IBA loan customers being in outer regional, remote and very remote areas. 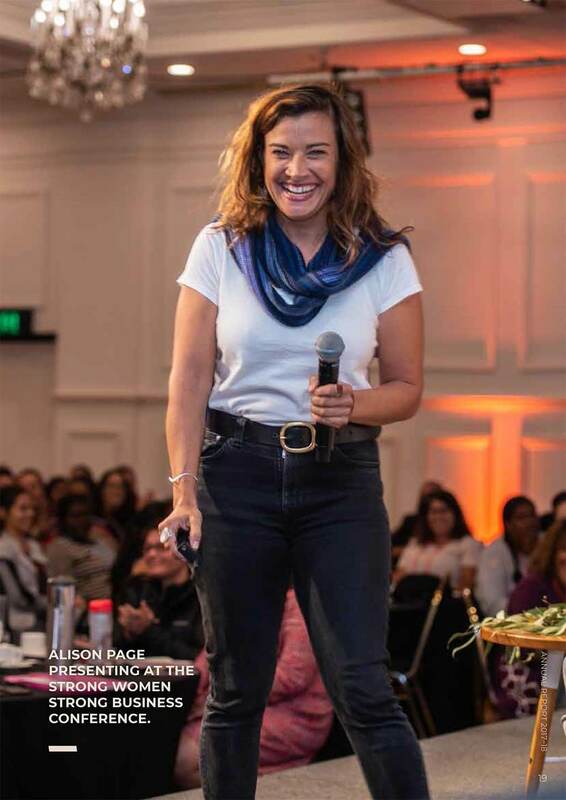 The current proportion of Aboriginal and Torres Strait Islander women in IBA’s customer base is 40%, which is higher than the representation of all women business owners in Australia (which is 34% of all businesses). IBA is working strongly to support more Aboriginal and Torres Strait Islander women into business and to increase the representation of women in our customer base. A highlight of 2017–18 for the Business Solutions program was the successful delivery of the Strong Women Strong Business conference convened by IBA in May 2018 in Adelaide. Applications were received from 463 individuals, with over 180 attending and well over 100 women live-streaming in each day from around Australia. The Strong Women Strong Business Digital Platform was also launched on 28 June 2018 (www.strongwomenstrongbusiness.com). The platform will facilitate mentorship and build skills in relevant areas. See Part 3 of the annual report for more information and analysis on the Business Solutions program. The table below lists the performance criteria for the Funding Agreement with the Department of the Prime Minister and Cabinet, and so accordingly excludes other components of IBA’s Business Solutions program. Note: The measurements in this table reflect the first 12-months of a 24-month contract arrangement with the Department of the Prime Minister and Cabinet. 1 33 customers are continuing Internal Support from last FY. 2 Targets not applicable until FY19. 3 Overall indicator is met according to the Funding Agreement. IBA assists Aboriginal and Torres Strait Islander people to achieve economic independence through investment and participation in commercial enterprises that produce financial returns and employment, training and supply chain opportunities. We work with Aboriginal and Torres Strait Islander communities and organisations through direct management of businesses and investments, provision of managed investments, facilitating supply chain opportunities, provision of employment and training and other investment support. During 2017–18, IBA partnered with 15 new and 6 existing Aboriginal and Torres Strait Islander investors investing $49.3 million, bringing total Aboriginal and Torres Strait Islander co-investment with IBA to $184.1 million (38.6%) from 53 investors. IBA achieved a return of 7% on its investments and delivered a strong return to co-investors of 7.4% this year. The rolling 5-year return was marginally below target due to the continued effect of valuation impacts in 2013–14. IBA facilitated new investments in renewable energy and student accommodation and facilitated two groups to assume majority ownership of profitable investments. Table 03 shows IBA’s achievements against the targets set out for the Investment and Asset Management division. The performance criteria measure the program’s success in sustaining positive financial returns to both IBA and Aboriginal and Torres Strait Islander co-investors, as well as broader contributions to Aboriginal and Torres Strait Islander people’s economic self-sufficiency through increasing the number of groups IBA works with and assists. In 2017–18, IBA actively pursued new investment opportunities through an Expression of Interest initiative resulting in 2 new investments to date and transferred equity to 4 Aboriginal and Torres Strait Islander co-investors, while significantly increasing Aboriginal and Torres Strait Islander people’s co-investment in the Indigenous Prosperity Funds by $49.3 million from 21 Indigenous investors. The division met 5 out of 6 of its performance criteria in 2017–18. partners (7.4%) both exceeded their respective target, influenced by valuation increases across the portfolio and strong returns from the Indigenous Prosperity Funds, which now holds $69.9 million of Indigenous co-investment. IBA’s average return over the previous rolling 5 years (4.4%) was affected primarily by valuation impacts in 2013–14, mainly in IBA’s tourism assets (in line with broader effects in the tourism market in that year). This will not affect the rolling 5-year return from 2018-19 onwards. The investment portfolio is valued at $477.1 million (at 30 June 2018), of which IBA’s share is $276.0 million (57.8%), with $184.1 million (38.6%) held by Indigenous investors and $17.0 million (3.6%) held by other private sector partners. The investment portfolio generated more than $34.0 million in comprehensive income for IBA and Aboriginal and Torres Strait Islander co-investors, including interest earned on IBA’s cash holdings and investment loans. IBA’s share of this income (after operating expenses), will be used to pursue new investment opportunities, and to reinvest in existing investments to enable their growth and support their ongoing plans. Broader economic outcomes included supporting 217 jobs for Aboriginal and Torres Strait Islander people, being 31% of the total workforce supported by the direct investment portfolio, with total salaries, wages and job-relevant training benefits of over $13.2 million also being delivered to Aboriginal and Torres Strait Islander people. The Investment and Asset Management Program does not receive annual budget appropriations from the Australian Government. Its operating expenses are funded entirely from returns on IBA’s investment portfolio. Portfolio return to IBA’s Indigenous co-investors during the year is calculated as the after-tax comprehensive ncome (including valuation increments and decrements) generated by Indigenous co-investors’ and beneficiaries’ interests in the investment portfolio in the budget year, expressed as a percentage of the aggregate value of Indigenous co-investors’ and beneficiaries’ holdings. Portfolio return to IBA during the year is calculated as the after tax comprehensive income (which includes valuation increments and decrements) generated by IBA’s interests in the investment portfolio in the budget year, expressed as a percentage of the value of IBA’s holdings. Portfolio return to IBA over a rolling five-year period (inclusive of the designated year) is calculated as the average of the portfolio return to IBA in each of the past five budget years. Includes current Indigenous co-investors; Indigenous co-investors to whom investments were sold during the budget year; organisation participated in capability development activities such as investment strategies and investment information sessions; and Indigenous investors supported through investment’s services. Is comprised of Indigenous co-investors’ and beneficiaries’ after-tax comprehensive income (including valuation increments and decrements). In 2017–18 our spending on Aboriginal and Torres Strait Island suppliers totalled $6.61m which exceeded the target by 76%. 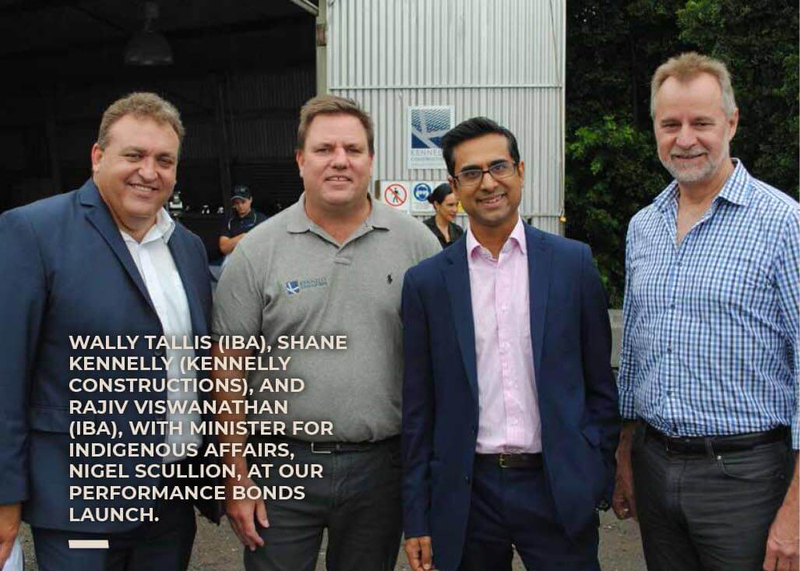 IBA is proud of this achievement as it means numerous Aboriginal and Torres Strait Islander suppliers were engaged and we continue to be a leader in Aboriginal and Torres Strait Island procurement. We believe a great example of this achievement is the IBA Sydney office relocation where 92.44% of the spend was on Aboriginal and Torres Strait Island businesses. IBA and its wider groups supported 1,911 Aboriginal and Torres Strait Islander jobs through the business and finance portfolios. Our focused effort to increase Aboriginal and Torres Strait Islander people represented in our workforce at IBA resulted in 30.1% or 65 Aboriginal and Torres Strait Islander people being employed in 2017–18 (an increase from 26% in 2016-17). In 2017-18 IBA delivered 146 capability and development workshops, exceeding the target of 140 by 4%. Table 04 shows IBA’s achievements against the performance targets for procurement, employment and capability development and support. Is calculated as the sum of the rolling 12-month average of all Aboriginal and Torres Strait Island employees of IBA. Is calculated as the sum of (i) the rolling 12-month average of all Aboriginal and Torres Strait Island employees of IBA subsidiaries and associates (to incorporate seasonality changes); and (ii) the number of Aboriginal and Torres Strait Island employees within IBA’s businesses finance customers (recorded annually). Includes investment, business workshops and individual sessions and home ownership sessions. Regional areas derived from ABS Remoteness Areas (coinciding with ARIA (Accessibility/Remoteness Index of Australia), with Remote and Very Remote collated into “remote”, Outer and Inner Regional collated into “regional” and major cities classed as “urban/metro”. Customers includes Aboriginal and Torres Strait Island co-investors, investment partners and those who receive investment related support, customers receiving business workshops, support or business finance, and customers receiving finance or support relating to home ownership.